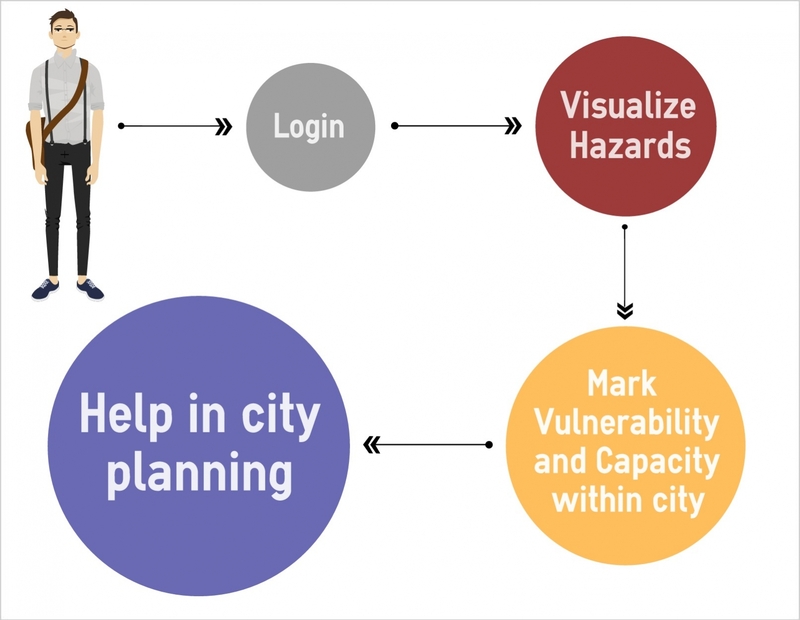 This platform helps in visualizing Hazard Risk and Vulnerability information. To contribute or download information please login. 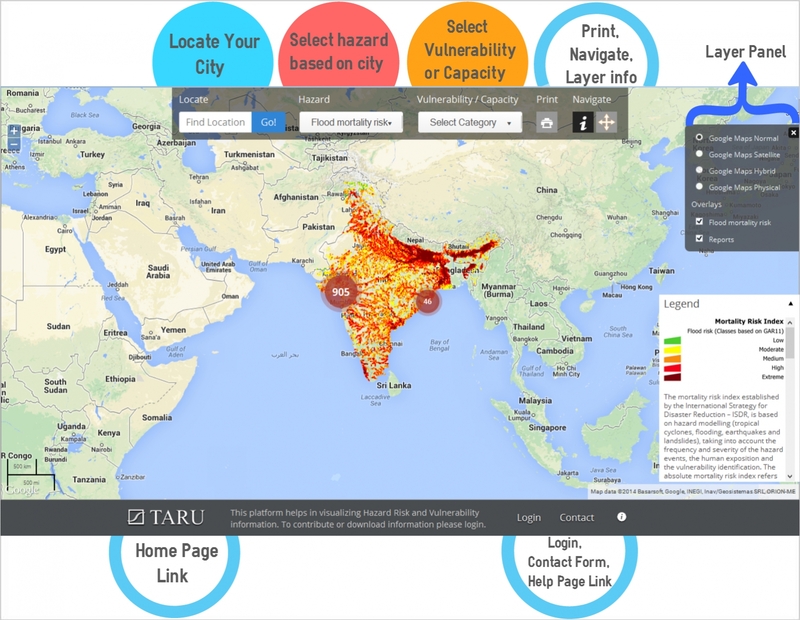 TARU Leading Edge Pvt. Ltd is a private research consultancy organization with an expertise is primarily in six core sectors: Disaster Risk Management & Climate Change, Governance & Institutions, Natural Resource Management, Social Development, Urban Development, and Water, Sanitation & Hygiene. Within these sectors we undertake policy analysis, strategy development, action research, programme design, project management support, assessments and evaluations. ACCCRN was launched in 2008 and is funded by The Rockefeller Foundation as part of a US$59 million 9-year initiative aimed at building Climate Change Resilience. Climate change resilience is the capacity of an individual, community, or institution to dynamically and effectively respond to shifting climate impact circumstances while continuing to function at an acceptable level. Simply, it is the ability to survive, recover from, and even thrive in changing climatic conditions. ACCCRN works at the nexus of climate change, vulnerable and poor communities, and urbanization.